We collect and compile your candidate’s feedback. You spend all time analyzing, benchmarking and improving your candidate experience. More of your candidates will connect that great feeling of being satisfied with your brand. 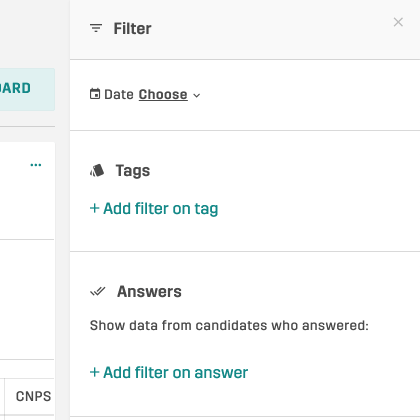 Create segments of your data so that recruiters/departments/cities only see their data. Create and filter your own cards and choose your most valuable cards to show in a specific board. 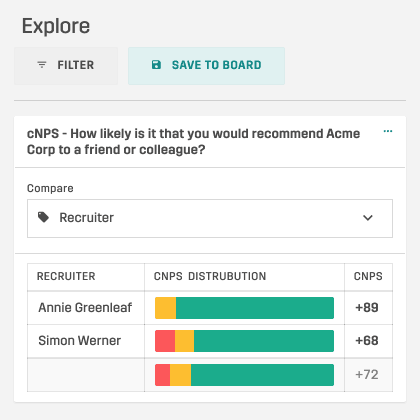 Boards are updated in real-time and will help you spot what changes to make and follow up if it was positive or negative for your candidate experience. That’s how you improve your candidate experience.